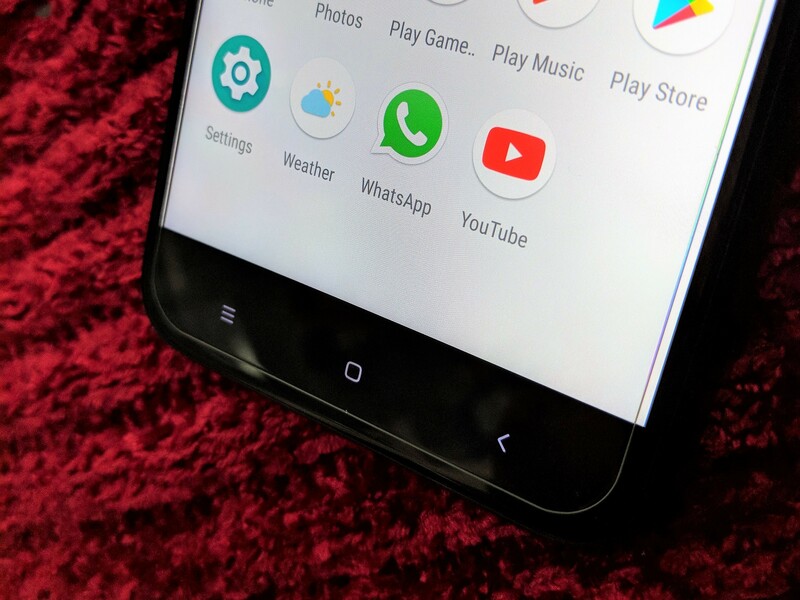 A couple of months ago, my brother in law came to me with a question: he needed an affordable $200-300 Android smartphone that he could purchase from the UAE or Lebanon and that would do the basics right. My ready-made answer in the category in the past few years has been Samsung's A/C/J series. You get nice hardware, decent software with less bloat nowadays, excellent after-sale support no matter which mom-and-pop repair store you stop at, easy accessory purchase, and it's super fast to sell it on when the time comes to part with your phone. But that's only because Samsung's presence in Lebanon is huge, LG's midrange devices are too costly for the features, Moto and HTC essentially don't exist, Nokia/HMD hadn't begun selling phones again yet, and Huawei started breaking into the market about a year or so ago. 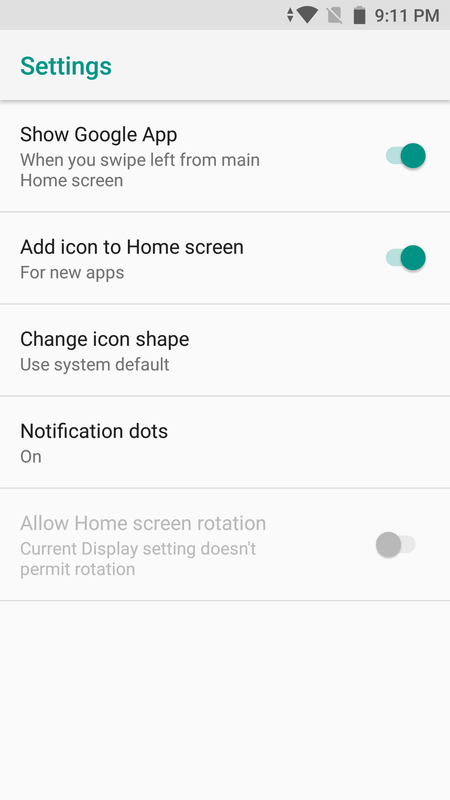 Even so, EMUI's zealous background process killing remains a cause of concern in our WhatsApp-or-nothing society so I generally stay away from it in my recommendations. But since I wasn't limited to Lebanon this time around, my thoughts went directly to Moto. Lenovo has ruined a few things about the brand, but the midrange G and E series remain really good value for the money. I started looking at a few Moto options on Souq (the Amazon-owned online shop in the UAE) and then stopped dead in my tracks. 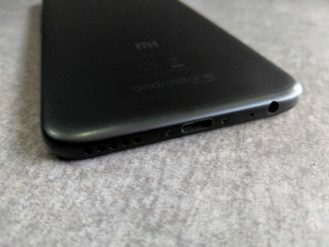 A bulb went off in my head: the Xiaomi Mi A1! 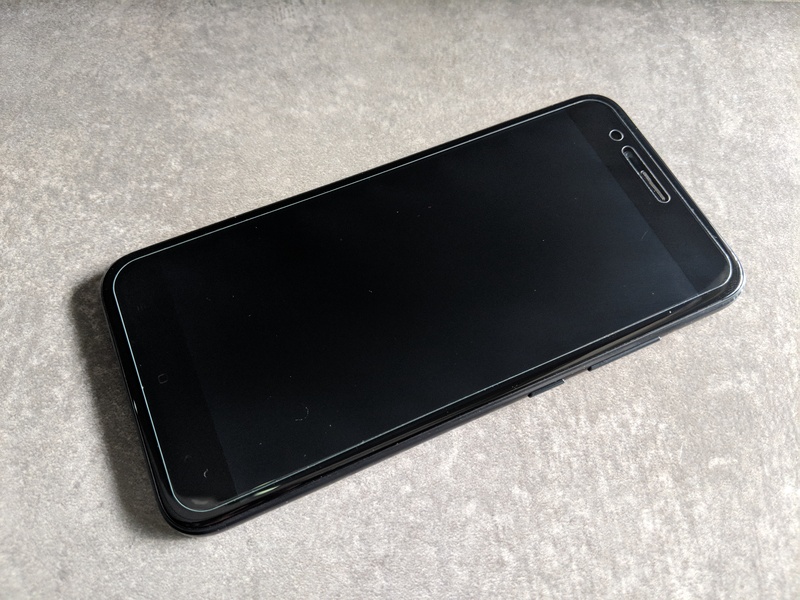 I remembered covering the device's announcement here on AndroidPolice and being very impressed by everything it had, a sentiment that was carried by Corbin when he reviewed it. I also recalled a mention of it coming to the UAE. So I searched and there it was. 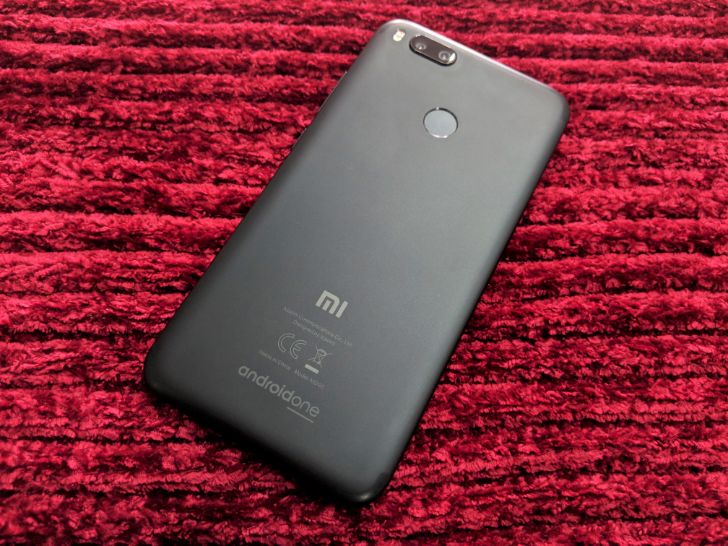 For 789aed (approx $215), my brother-in-law could grab a 64GB Xiaomi Mi A1 off Souq, with a spec sheet that put every $200-300 Moto and Samsung I had found to shame. Oh and Android One. I didn't think about it twice. I told him to get one Mi A1 for him and one for my dad. I was intrigued and wanted to try it a bit... under the innocent guise that my dad's LG G2 was aging and needed an upgrade. 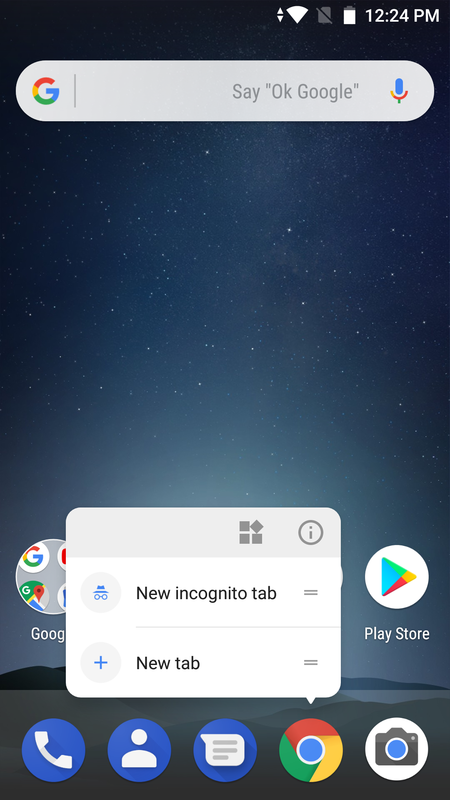 For the past few weeks, I've had the Mi A1 with me (while waiting on a case and glass protector to ship from eBay because my father has a knack for dropping phones on everything) and have had time to check it out more or less thoroughly. My thoughts are still as positive as before: this is easily the best value you can get for your money in the Android world in any category. "Pure" Android 8.0 Oreo, which started rolling a few weeks ago, got halted, and is now resuming. No NFC, which may or may not be crucial for payments, depending on where you live. The buttons are capacitive and in the wrong order, but so what? 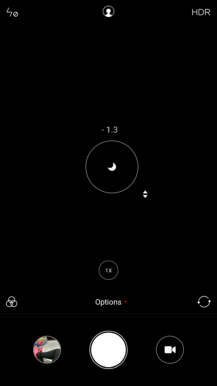 That won't annoy anyone but the Android purists. 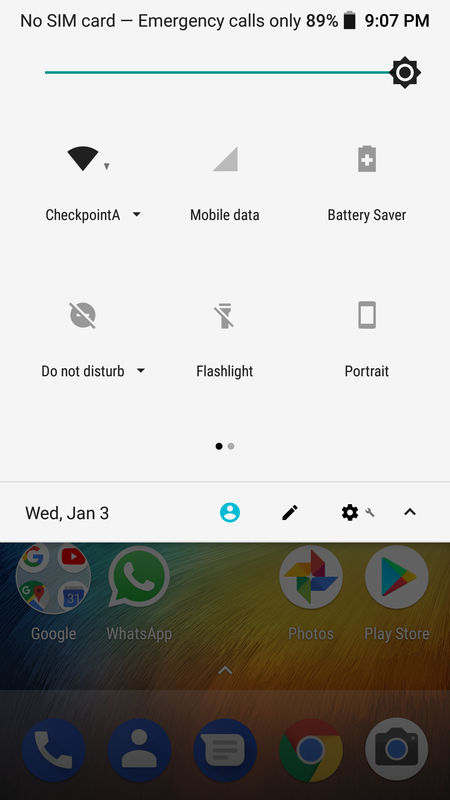 I can switch in one second from my Pixel 2 XL to the Xiaomi Mi A1 without feeling disoriented. Until now, no kernel sources released, which is sad and doubly so for an Android One phone, but won't affect usability for the vast majority of those who buy it. But the rest? I can't understand how Xiaomi manages to cram this much value into a device and still turn one cent of profit. It's mind-boggling to be honest. Every other device in the same price range, and even in the $300-400 bracket, has nothing on the Mi A1. 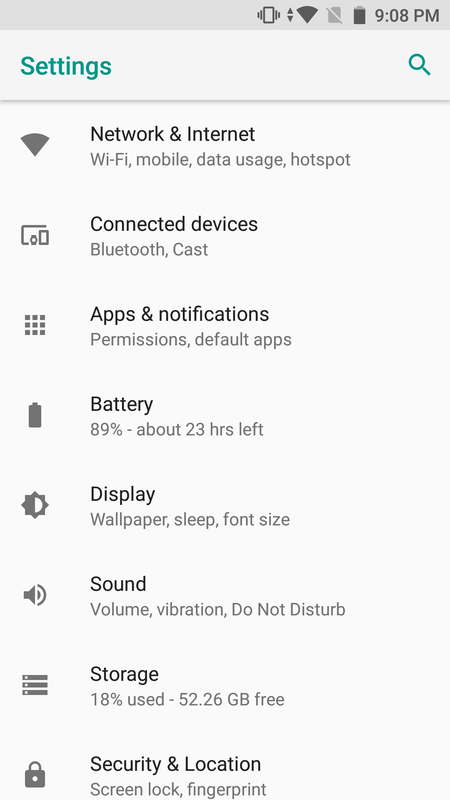 Either the processor is slower, or the screen is 720p only, or there's 1.5 or 2GB of RAM tops, 3GB if you're lucky, or it's only 16GB or 32GB of internal storage, or it charges over MicroUSB, or it's many/all of the above. That's not to mention the IR blaster and the front notification LED, which many midrangers lack these days. Xiaomi ticks those boxes in a package that looks much more premium than its price. 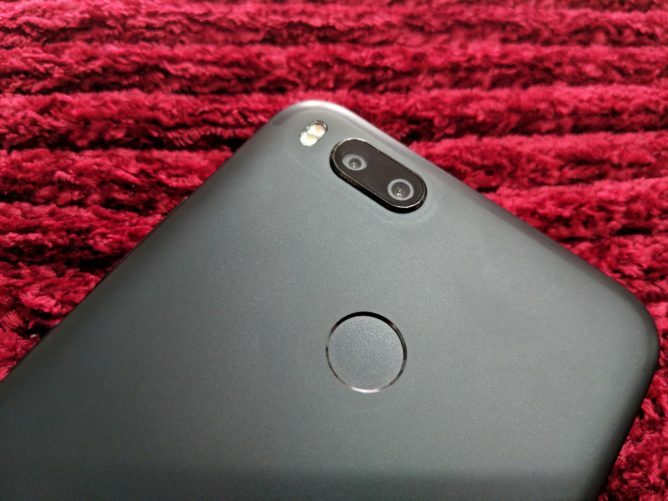 I was pleasantly surprised the first moment I saw then held the Mi A1. The slim metal unibody feels very nice, if slippery (hence the wait for the case), in the hand. The neatly curved edges around the back and the chamfered edges on the front where they meet the display add more elegance to the design. On the black version, the antenna lines are even harder to spot and thus the illusion of a uniform metallic piece is complete. I have trouble getting people to believe this is a $215 phone because it does look and feel much more expensive than that. The chamfered edge adds a bit of class to the design. The side buttons are just a little bit mushy, but they do the job. The rear fringerprint sensor is relatively fast and hasn't given me any trouble since I set it up. It's also on the back, where I prefer it to be. 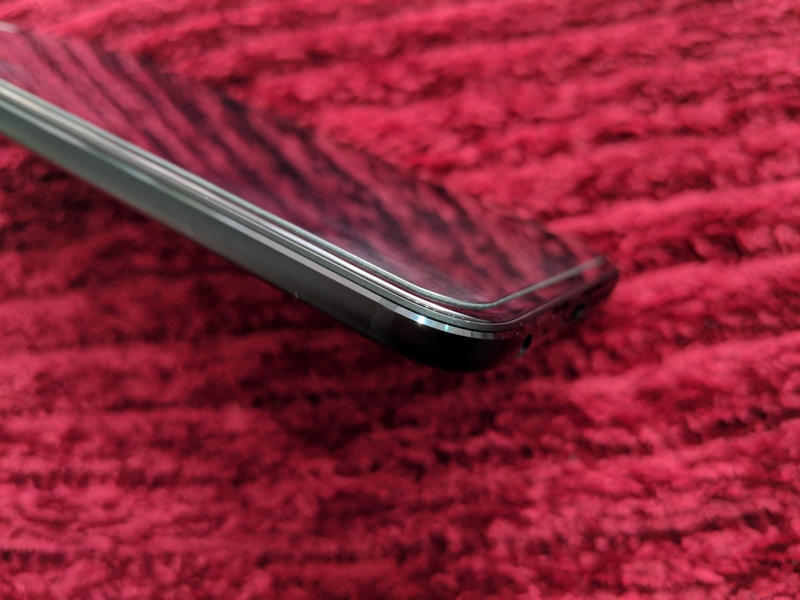 And USB-C charging means that this phone has moved to the new era and is easier to plug in for a charge, but it hasn't moved so far ahead that it forgot the 3.5mm headphone jack. It's still there. The display is also great. This price segment is filled with 720p displays, so seeing a 1080p one with good viewing angles and outdoor visibility is welcome, especially given the rather large 5.5" size. 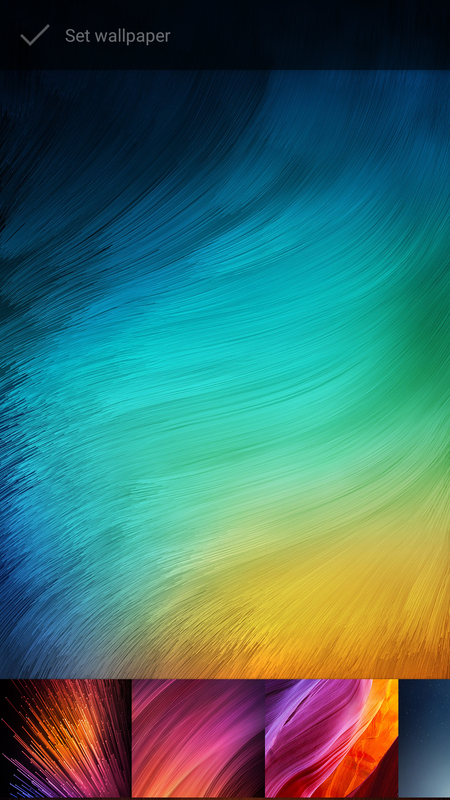 I quite enjoy its colors and the few times I had it turned on next to my Pixel 2 XL, I had trouble deciding which one was better. Or worse. And then we get to the software. 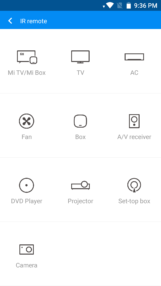 Part of the reason I've not considered Xiaomi in any of my recommendations in the past, beside the lack of official availability in Lebanon, has been its software skin. 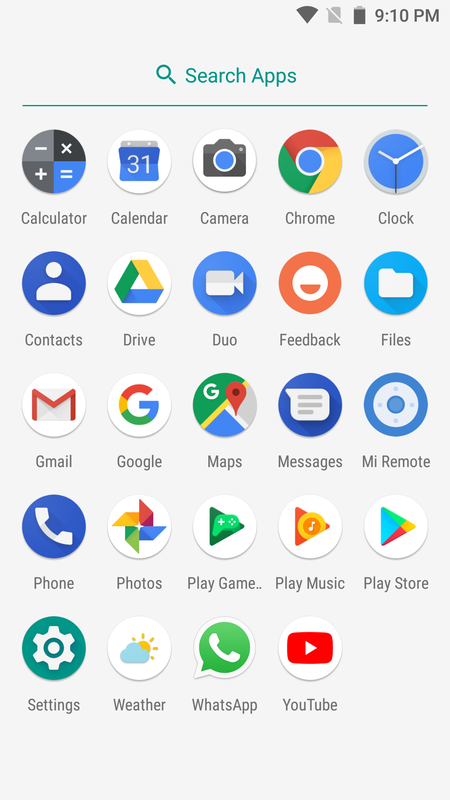 Yes, I know MIUI has come a long way, but the design is at odds with Android's direction now, creating a disparate software experience between built-in apps and third-party apps, which can be even more confusing for regular users. 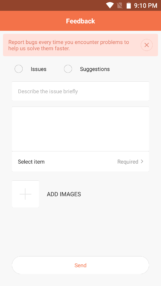 Plus, the way it handles background processes and management is still problematic, especially when it comes to notifications and Bluetooth. 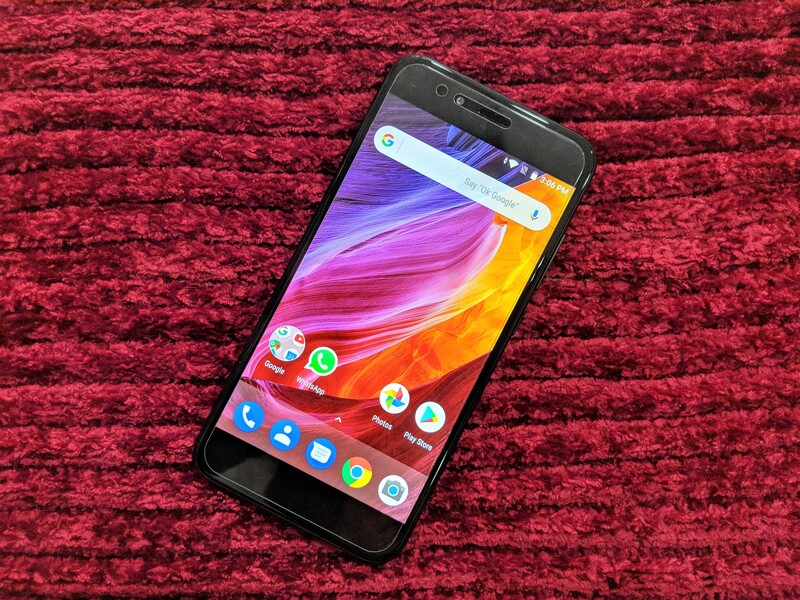 The Xiaomi Mi A1 is the first device from the company that solves that issue by completely side-stepping MIUI and going for Android One instead. 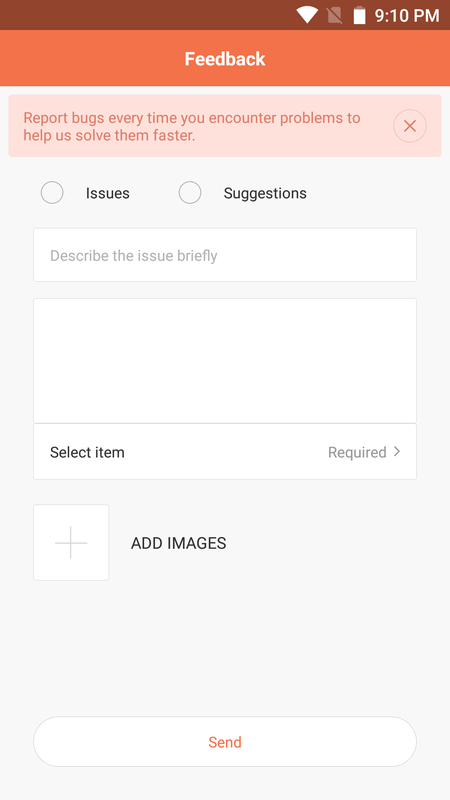 Look, I'll be the first one to tell you that the "pure" Android experience has as many issues and even more missing features than manufacturer skins, but in this case, it does bring a sense of reliability to the Mi A1 that wasn't there with any of the company's previous devices. 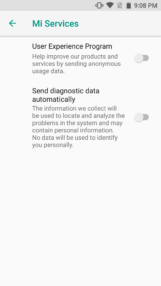 At least if my dad calls me to ask how to change a setting or do something on this phone, I'll be able to answer without guessing whether MIUI does it the same way or not. The antenna lines melt with the rest of the metal back on the black version. 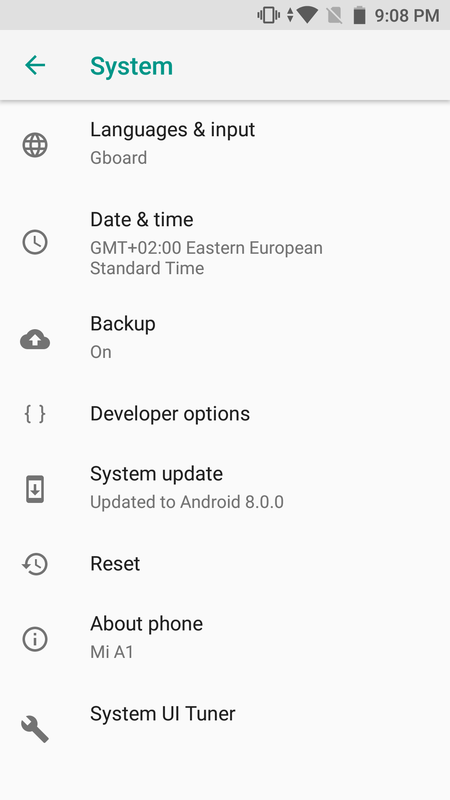 The Android 8.0 Oreo update started rolling a few weeks ago to the Mi A1, but was halted and is now resuming. I got it with the first batch and don't think this unit was affected by any bugs - at least I haven't run into any. 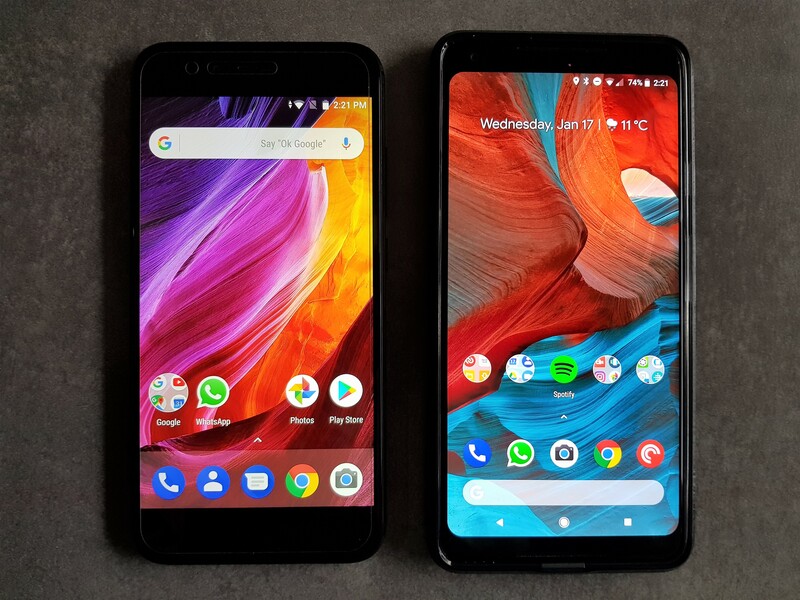 It's a smooth and "clean" experience that leaves the Mi A1 uncluttered by any potentially duplicate apps from both the OEM and Google, and it's almost the same as the Nokia 8 software, which I've already reviewed extensively. 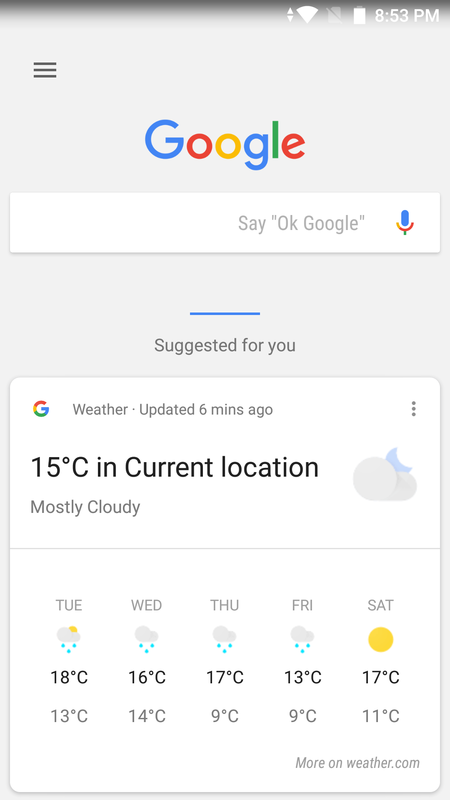 You get Launcher 3 (adaptive icons, notification dots, app shortcuts, and widgets), with Google on the side pane, which I set to display the weather, provide directions to my dad's home and work, and give him some updates on football scores for a few Liga, Ligue 1, and Premier teams as well as the Brazil national team. The World Cup is fast approaching and I'm sure he'll enjoy the live updates and news. I haven't set up Google Assistant for him since he's better at reading English than speaking it, but it's there should he one day need it. 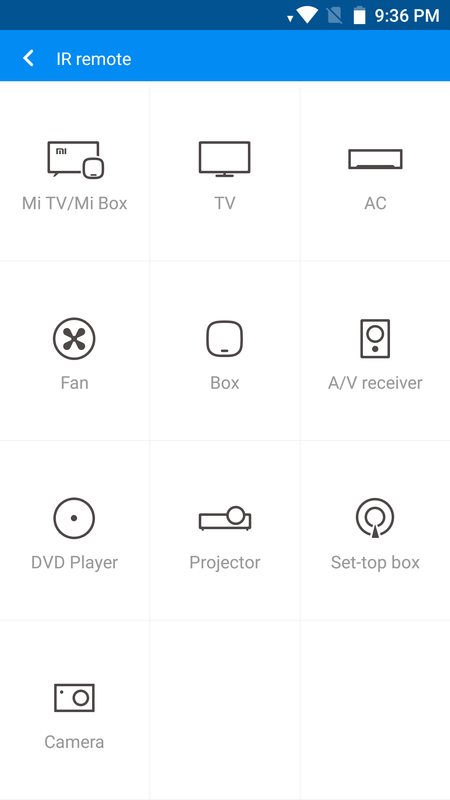 The only traces of Xiaomi software found on the phone are two Mi Services toggles in the settings, a Feedback app, a Mi Forums app that I uninstalled, and the Mi Remote app which I could remove but chose to keep instead. 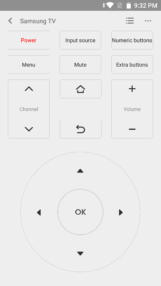 It was easy to add a new TV and all of the controls are quickly accessible on the app's interface so I could change channels and volume and switch inputs without an issue. 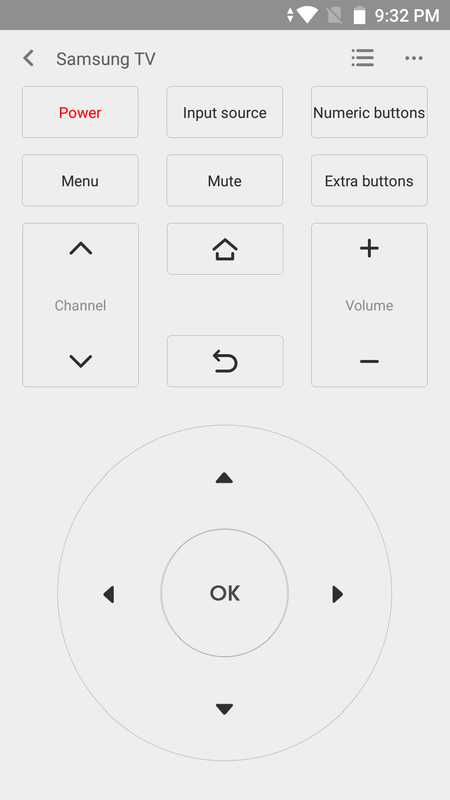 Being able to control the TV with his phone is sure going to bring a smile to my dad's face. My mom will hate me for it, but oh well, I'm here for the technology, not the marriage counseling. Oh and there's Xiaomi's Camera app. I like its interface a lot more than the Nokia one. 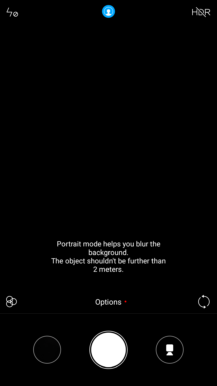 Portrait mode is only a tap away and so is the 1x-2x optical zoom. But my favorite UI option is the tap-and-hold that focuses and takes a photo in one go so you don't have to focus then move your finger to the shutter button to shoot. As most parents I've met, my dad has shaky/blurry photo syndrome, so I'm glad we'll be taking away one part of the equation with this method. I also like that a tap on the screen brings up two up/down arrows so you can slide to change exposure. Nokia didn't include that in its Camera app, forcing me to go to settings to change the exposure each time, so I'm happy Xiaomi did. The results are not extraordinary when compared to a Galaxy S7/S8 or a Pixel 2, but for the price segment they're more than good. The more I use this Mi A1 the more I have trouble finding a major flaw in it. It does the basics right, and it does the neat and funky additions right as well. Think about it, what most people use on their smartphones these days is browsing, searching, taking some photos, social media and messaging, and watching some videos. Oh, and calling, sure, they're phones after all. Those can be done with a modicum of decency on any relatively modern $150+ Android phone, but the big hiccups will be RAM and storage. If I had a penny for every time I had to help someone empty their low-end phone's local storage so they could update WhatsApp again, or every time I had to remove some unnecessary apps that were hogging the RAM of someone's phone and slowing it down to a crawl... I'd have like $3 or $5 maybe. But still. 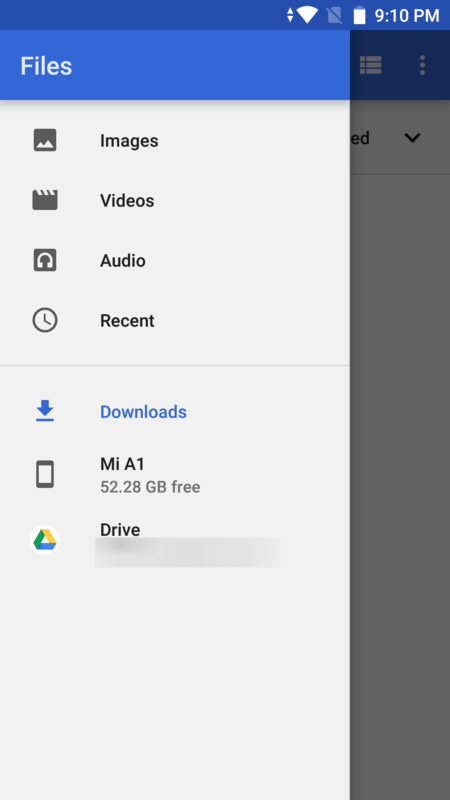 The 64GB of storage and 4GB of RAM on the Mi A1 make it one of the few devices in the category that are immune to these issues for the foreseeable future. And the more I use this Mi A1 the more I find it difficult to justify the price of any $300-400 smartphone. Most of them bring nothing more to the table and some have cumbersome OEM skins to bog down the device. 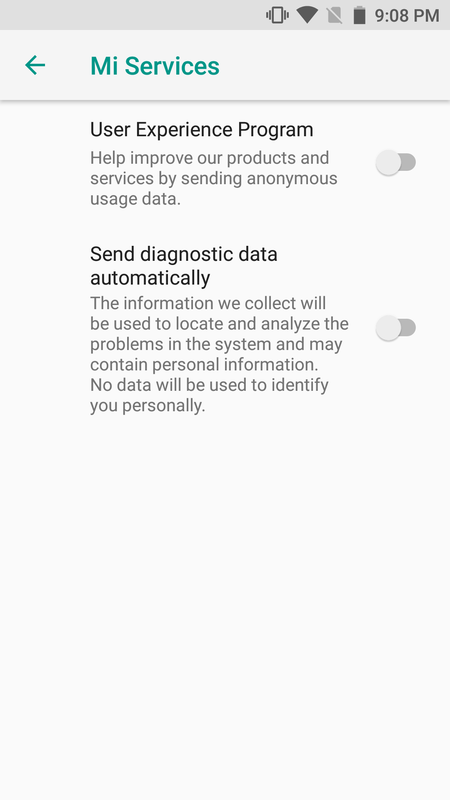 Android One and the relatively fast updates and security patches play a big role here in creating a unique selling point for the Mi A1 in the category. 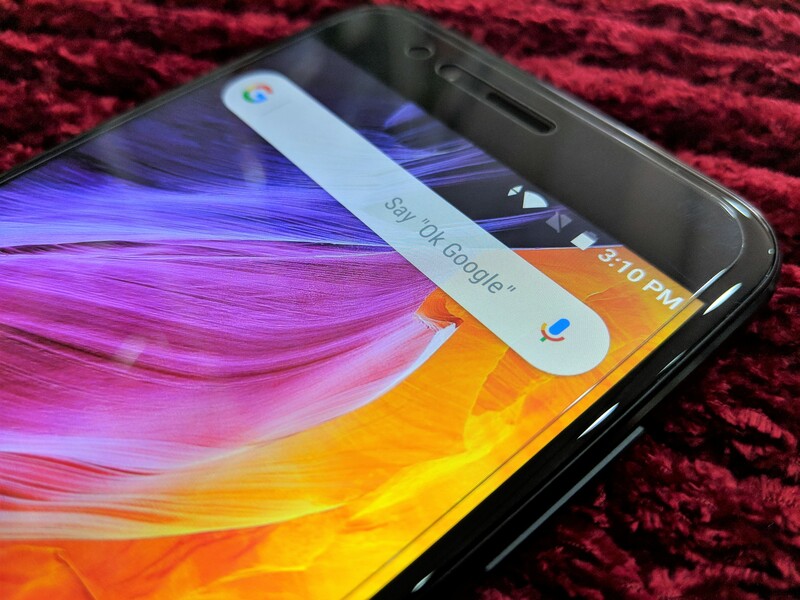 Even the $500-600 segment feels overpriced when you put down on paper the exact differences with the Mi A1 and compare their value. And let's not talk about the $700-1000 segment. Better displays, better cameras, faster processors, yes... But we'll all still be sharing memes on WhatsApp and uploading photos to Snapchat/Instagram, regardless of the phone we have. 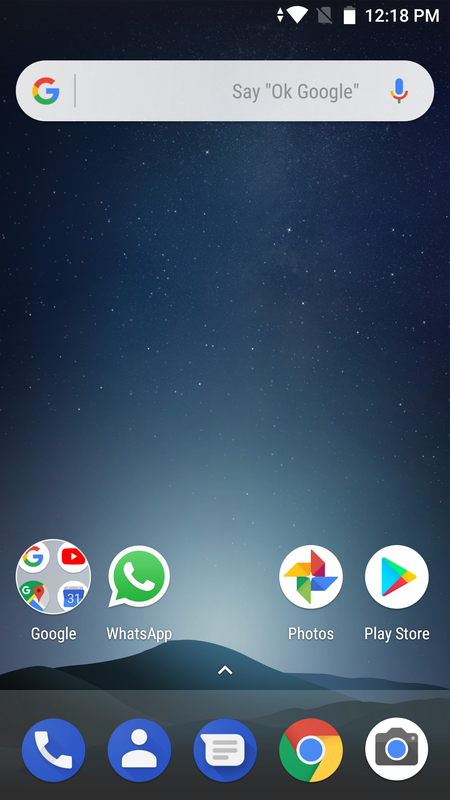 If I'm being honest with myself, I could live with a Mi A1 as my main device. 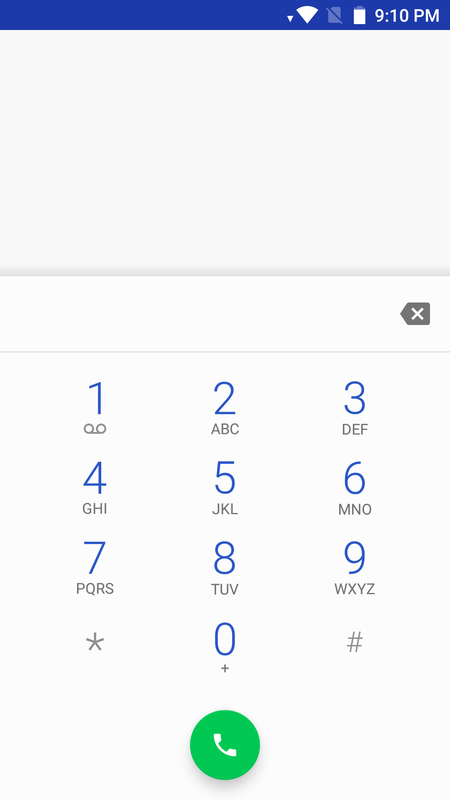 Heck, my Pixel 2 XL doesn't have a 3.5mm jack or an IR blaster or a MicroSD slot and I would have gotten four, count them with me, four Mi A1 units for the price. Is the Pixel worth quadruple the price? Does it allow me to do 4 times more things, or does it do things 4 times faster or better? 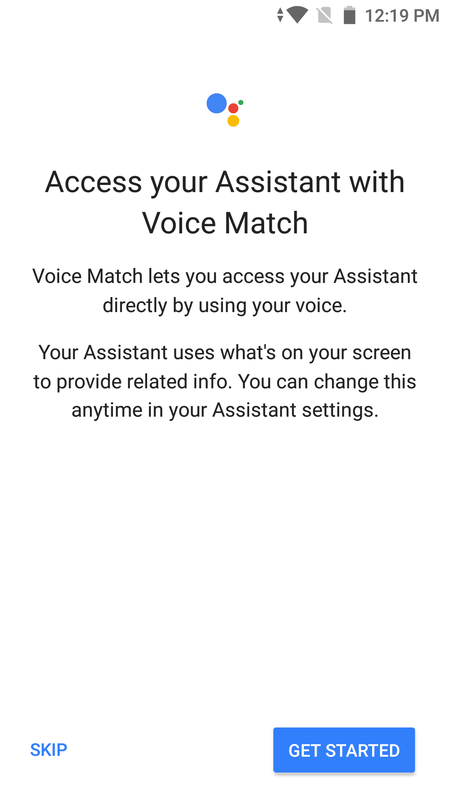 I highly doubt it, but I work for Android Police so a Google-made phone is more like a business expense than a personal choice. One of these costs 4 times the price of the other. Even if the Mi A1 isn't right up your alley, you should keep it in mind the next time any friend or relative asks you for a good smartphone below the $500 range (if you live in a country where it's easy to buy/works with your operator bands). They'll get way more out of these $215 than they will out of any other device right now, with very little compromise. Just whisper its price when asked about it, because it's one of the best hidden secrets of the Android smartphone market.